Lenovo has launched Lenovo Z5 Smartphone with Snapdragon 636 processor and Dual Rear Camera, Xiaomi Redmi Note 5 Pro also comes with similar specs. 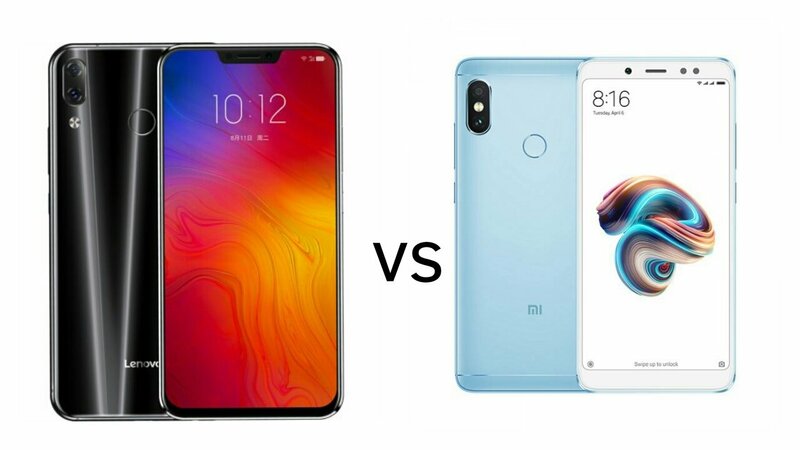 Check out Specs, Features price comparison between Lenovo Z5 and Xiaomi Redmi Note 5 Pro. Both Phones come with Fingerprint Scanner on the Rear. Lenovo Z5 has a 19:9 Notch Display compared to 18:9 FullView Display on Redmi Note 5 Pro both phones are powered by Octa-Core Snapdragon 636 processor. In terms of Design Lenovo Z5 has Glass body compared to Xiaomi Redmi Note 5 Pro which has a metal body. Lenovo Z5 comes with 6GB RAM and 64GB/128GB of internal storage, Note 5 Pro has 4/6GB RAM and 64GB Storage. In terms of Camera, Lenovo Z5 has a 16MP rear camera with LED Flash, f/2.0 aperture, PDAF, secondary 8MP camera and 8MP front-facing camera , Redmi Note 5 Pro has 12MP rear camera with dual-tone LED Flash, 1.25μm pixel size, f/2.2 aperture, PDAF, a secondary 5MP camera with 1.12μm, f/2.0 aperture and 20MP front facing camera which lacks 4K recording support which is present in Lenovo Z5. Both phones run on Android Oreo, Lenovo Z5 has 3300mAh battery with fast charging whereas Redmi Note 5 Pro has higher 4000mAh Battery which lacks fast charging. Lenovo Z5 offers Glass body, 6GB RAM at a lower price compared to Note 5 Pro which has a better front facing camera, bigger battery. Lenovo Z5 comes in Black, Blue, and Aurora color option priced at 1299 Yuan for 64GB model and 1799 Yuan for the 128GB option. Xiaomi Redmi Note 5 Pro is priced at Rs 14,999 for 4GB RAM and Rs 16,999 for 6GB RAM.